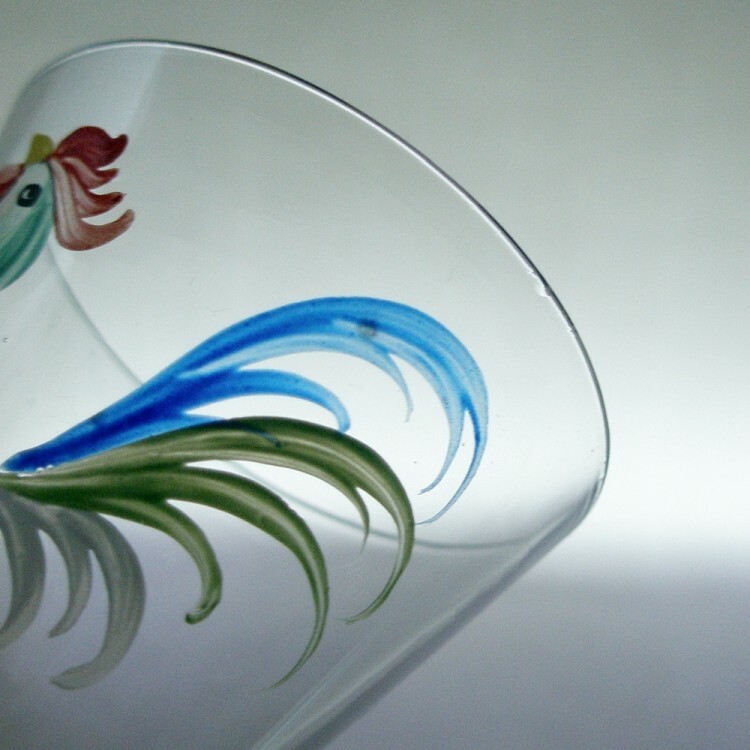 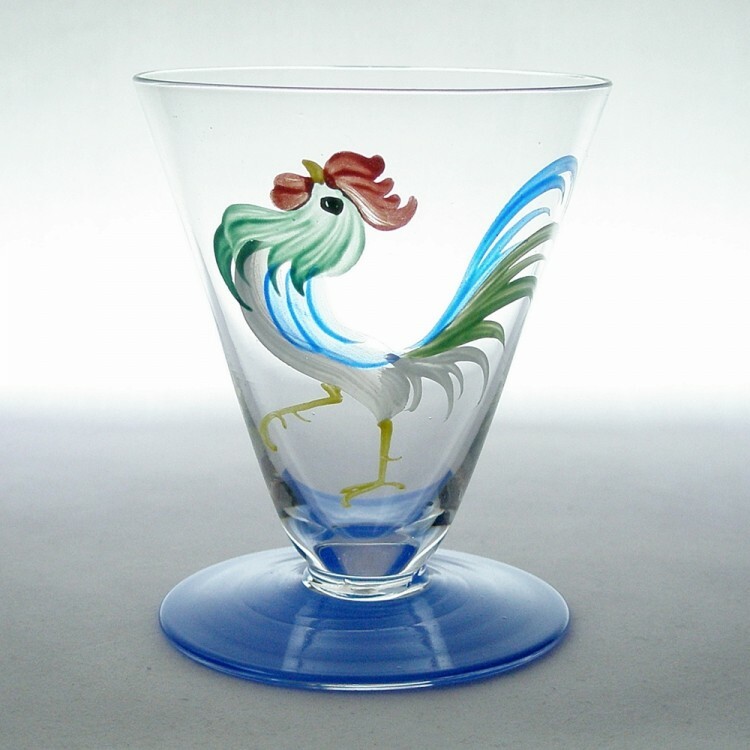 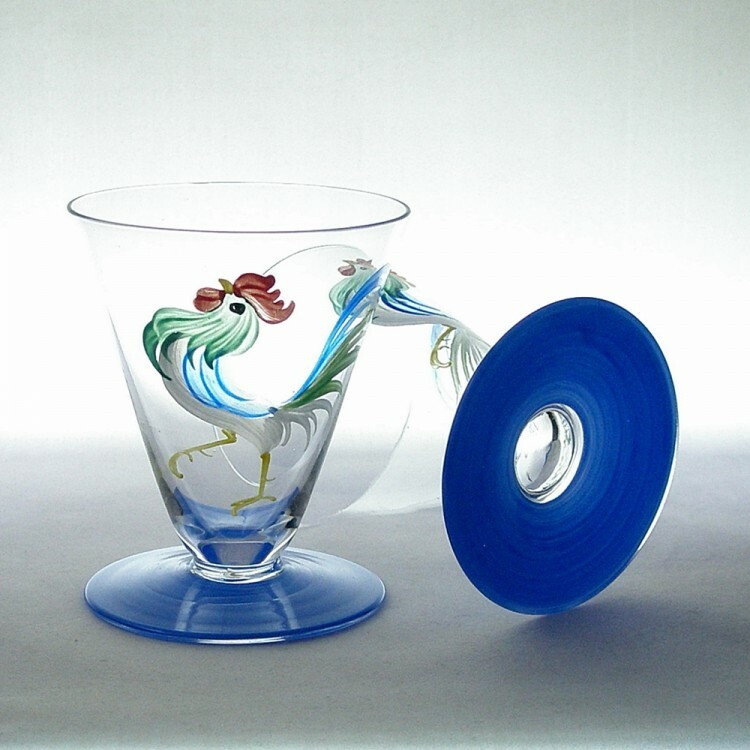 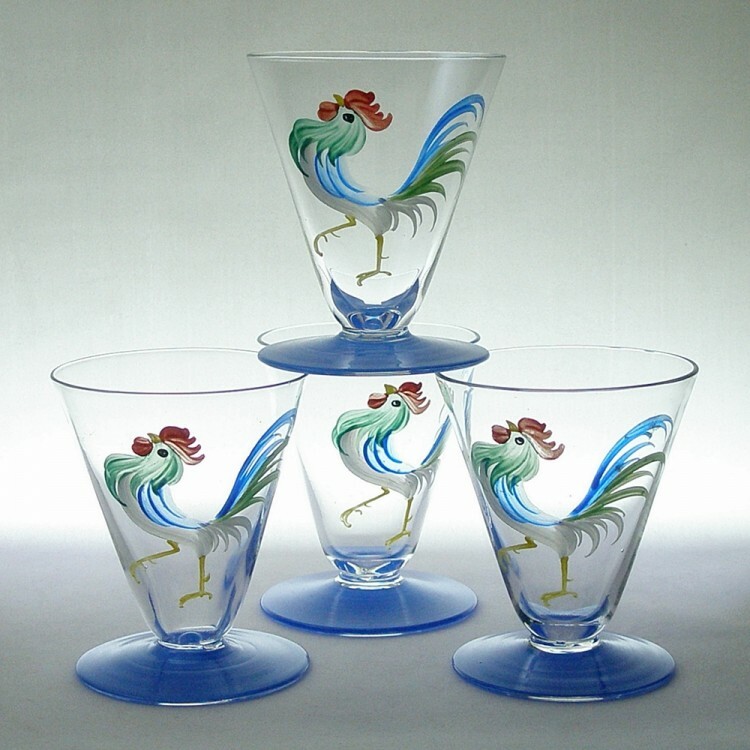 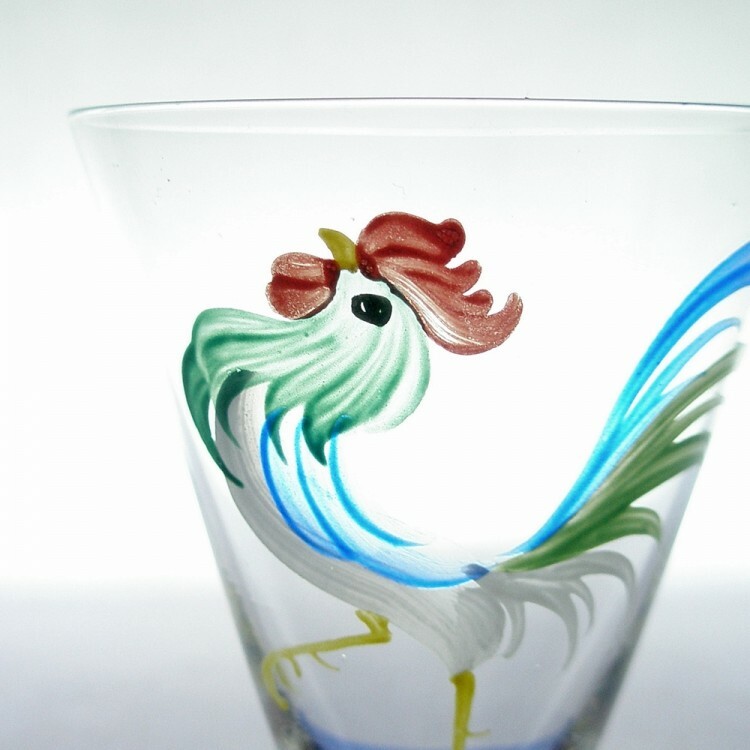 A set of four Art Deco cocktail glasses produced in Czechoslovakia during the 1920s. 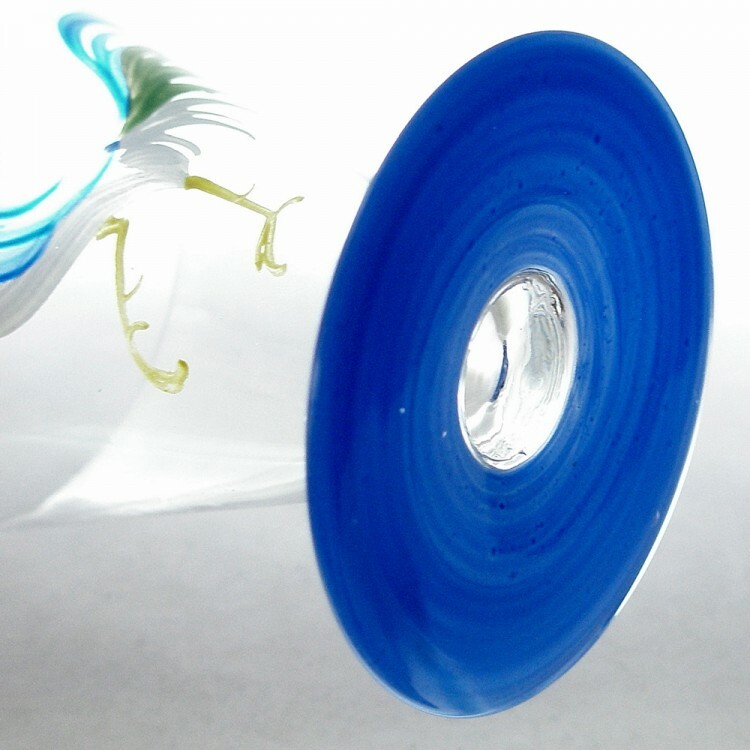 The round funnel bowls with hand painted cockerels above feet that are hand painted in a vivid blue. Two glasses are in very good condition with no chips or nicks. 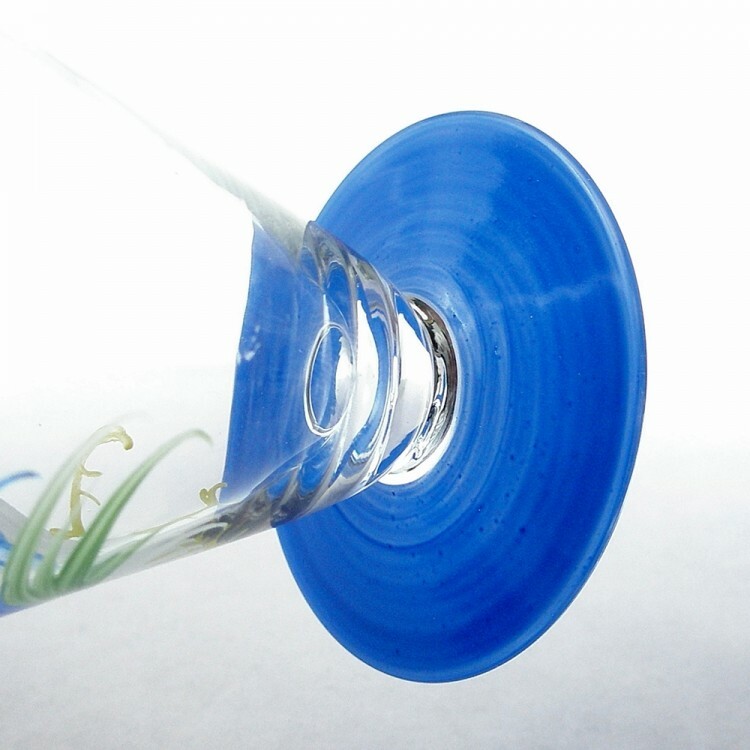 The bowl rim on one glass has a nick and the bowl rim on another glass has a manufacturing defect that are highlighted in the final two pictures. 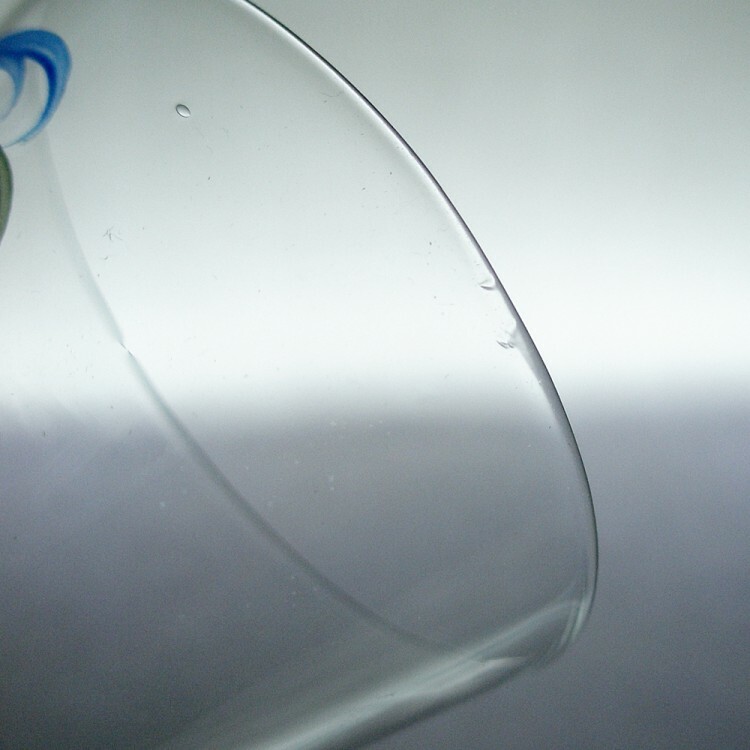 All glasses have a couple of tiny encased air bubbles and light surface marks.